It also happened to be the home of a fellow malt aficionado and ex Mumbai tasting group member. On my last trip we took on an eight dram marathon at The Auld Alliance. This trip we swapped such revelries for a family and friends affair with great company, delicious food and… yes… a whisky or two or three! I will openly admit, it was a fully social setting so it wasn’t like I jotted down tasting notes until the last… when we decided to have a little impromptu ‘tasting’ experience to close the night. However, formal tasting notes or not… we still covered four rather distinctive whiskies in one evening! Shortly after I arrived, a mystery glass was brought out as a teaser. What did I find? The ‘punch line’ was that this particular bottle just so happens to be from Gimli, Manitoba… my home province in Canada. 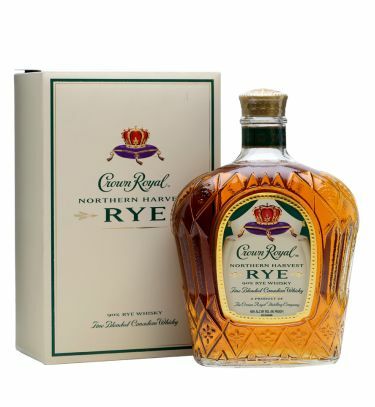 And – you guessed it – was Crown Royal’s Northern Harvest Rye which has literally flown off the shelves globally thanks to Jim Murray’s recent recognition of it as 2016 World’s Best Whisky. The bottle was snagged in the US by a friend’s brother and brought to Singapore… part of the stash that will be coming into India soon. Gotta love globe-trotting whisky! Overall what did I think? Honestly – it is not bad for a Rye and really quite excellent for $30 whisk(e)y but… come on… world’s best whisky? Seriously? Just not aligning with my mood for the evening… I simply could not wrap my palate around the extra over-ripe quality. So our host took pity on my pickiness and out came a reliable dram – Springbank 10 year 46%. Khanna (food) then became the focus… was happily consumed and our evening was winding its way to a close. As the deserts and tea came out… so too did a bunch of glasses for a semi ‘proper’ tasting session. What did we sample? Overall – While not mature and still a bit raw it is also like a procosious youngster – lots of promise, worth checking out and quite remarkable for such a young whisky. Our host shared tales of his visit to Kilchoman’s distillery and shared how it ‘transformed’ expectations of a young whisky. I was again reminded that for me at least, the Kilchoman Coull Point stands out. What fun to revisit a few whiskies… and a perfect close to a most enjoyable trip to Singapore. This entry was posted in Beyond Scotland, Campbeltown, Canada, Islay, Scotland and tagged Bruichladdich Organic, Crown Royal Northern Harvest Rye, Kilchoman Machir Bay, Springbank 10 year by Carissa Hickling. Bookmark the permalink.